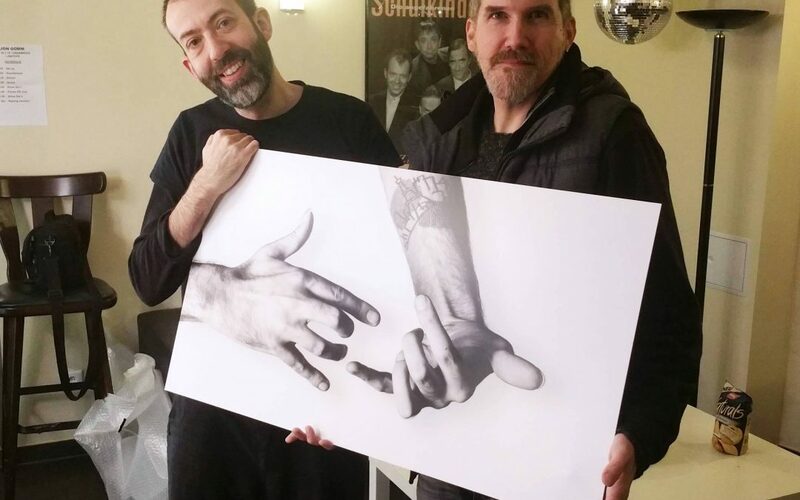 It is always a wonderful moment to confront a musician with a high quality print of his own hands. This is backstage with Jon Gomm. Later that evening he signed this special copy, which was printed on aluminium. 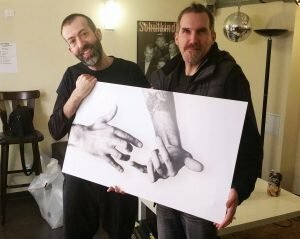 Thanks for your support Jon!